Dove’s Green Cotton, originally uploaded by dovesroost. 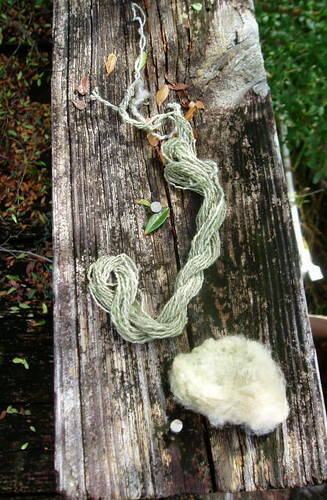 This is natural green cotton from our 2009 harvest. After selecting for depth of color in prior years, this lint is a nice sage. 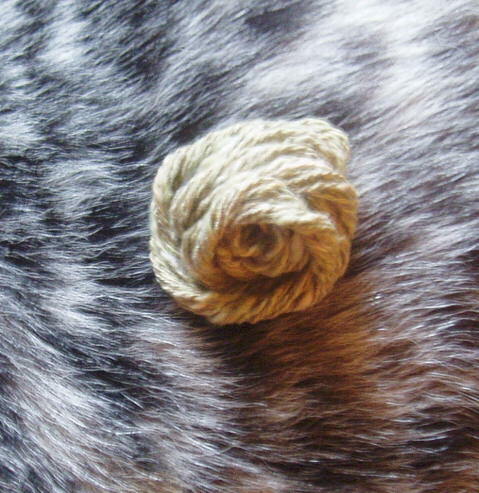 Here you see some lint, and a 2-ply, 28wpi yarn spun on the ol’ Fricke. Here’s the yarn directly after spinning. Thanks, Smitty, for modeling. 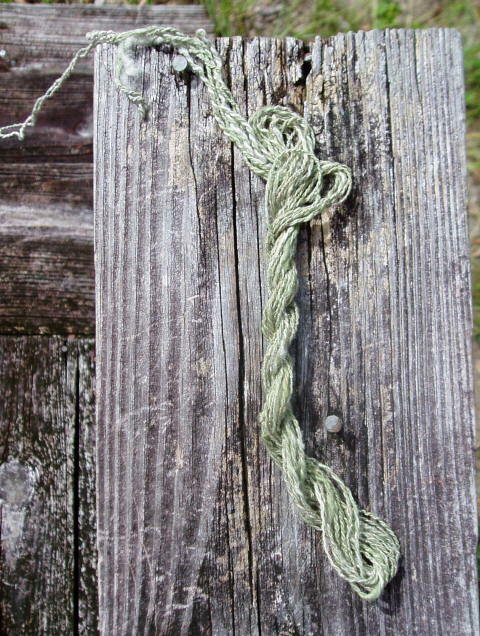 After stripping the natural waxes, the final color is set – a nice medium sage green.